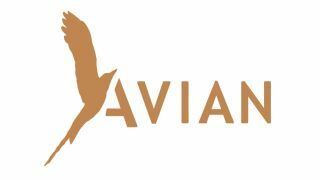 ACOUSTIC EXPO 2014: Available exclusively from The North American Guitar, Avian Guitars and Amps is an exciting brand and the result of a long-term collaboration between two of the USA's foremost acoustic guitar luthiers: Michael Bashkin and Harry Fleishman. Built 'on the bench' in China using traditional lutherie techniques, these guitars represent excellent value for money both aesthetically and tonally, with prices starting at only £899 (including active electronics and a hard case). The Avian Dove is a parlour guitar designed by one of the USA's top luthiers, Michael Bashkin of Boulder, Colorado. Available in maple, mahogany and Indian rosewood with a sitka spruce top, this guitar features all solid wood construction. The Avian Skylark is an uber modern grand auditorium model with a 15" lower bout and offset sound hole. Designed by Harry Fleishman, a prominent luthier in the Steve Klein mould of guitar building. The Avian Songbird is a mid-sized OM style guitar designed by Michael Bashkin. Available in maple, mahogany and Indian rosewood with a sitka spruce top, this guitar features all solid wood construction. For more information on Avian Guitars please visit The North American Guitar website, or call 0207 835 5597 or email hello@thenorthamericanguitar.com. You can also connect with them via Facebook, Twitter and YouTube.